Vietnamese human rights lawyer and activist Nguyen Van Dai has reported that his home in Hanoi was attacked by “thugs” on 5 and 6 March. Lawyer Dai is reportedly unable to leave his home because he fears he will be attacked by “thugs” and security officers. On 5 March, unidentified assailants threatened lawyer Dai outside his home. The following day, they attacked the building, destroying part of the door. Dai called the local police but received no assistance. Since the second incident on 6 March, Dai’s home has been under constant surveillance by security officers and “thugs” who have behaved aggressively towards Dai and his family. The attacks came at the end of Nguyen Van Dai’s period of house arrest. On 11 May 2007, Dai was found guilty of “disseminating slanderous and libellous information against the Socialist Republic of Vietnam” under Article 88 of the country’s Penal Code, and sentenced to five years in prison. He was released in 2011 but placed under house arrest for four years. As a lawyer and activist, Dai has provided legal advice and representation to Christians who have suffered violations of their right to freedom of religion or belief, as well as other victims of human rights violations. While under house arrest, Dai was closely monitored by police and security agents. 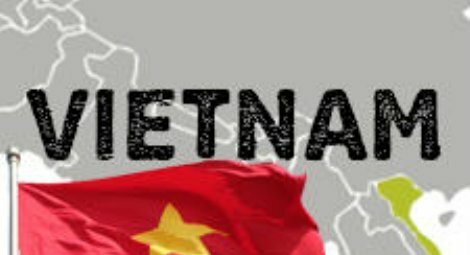 In April 2013, he was prevented from meeting with US Deputy Assistant Secretary of State for Democracy, Human Rights and Labor, Dan Baer when he visited Vietnam for the 17th US-Vietnam Human Rights Dialogue. When a political officer from the Embassy tried to pick Mr. Dai up from his house that afternoon, security officers instructed ten elderly women to block the officer's car. In addition, approximately ten of Dai’s supporters were arrested by security officers when they came to see what was happening. They were detained and questioned for five hours.